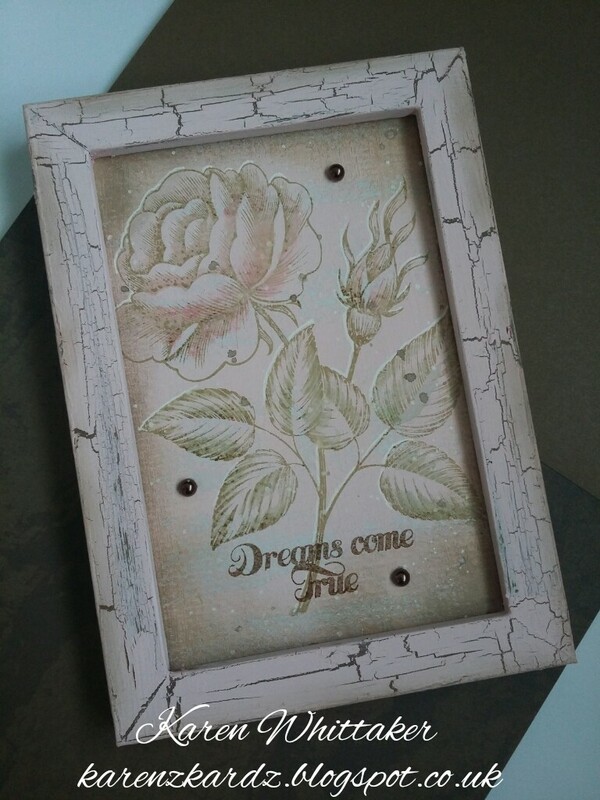 Sharing a photo frame gift I made for a friend who loves Roses. The rose stamp was heat embossed then coloured subtly with inks. The outside edges were also distressed and splatters of paint added for effect. Pearls were added to complete. This is gorgeous Karen, love the rose and soft pastel colours. Wonderful crackle on the frame too. Karin this is very beautiful made and done. Such a lovely elegant project. Love that stamp!